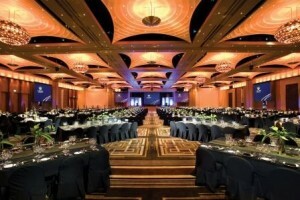 Tickets for this year’s Victorian Manufacturing Hall of Fame Gala Dinner are now available for booking. The Department of State Development Business and Innovation will recognise this year’s award winning companies and individuals at the black tie event scheduled to take place on Monday, 16 June 2014 at 7:00pm, at Palladium, Crown Melbourne, Crown Entertainment Complex 8 Whiteman Street, Southbank. Awards will be presented in the following categories: Company Induction — presented by Industry Capability Network Victoria, the Innovation Sponsor of the Awards; Manufacturer of the Year; Technology in Manufacturing; Young Manufacturer of the Year; and The Honour Roll. All attendees will have a unique opportunity to network with their industry peers and host their clients, staff and suppliers. Tickets can be booked at vmhf.com.au no later than Monday, 2 June 2014. For more information and event enquires please contact Valentina and Associates at [email protected] or on (03) 9692 9692.